The journey of 21.2K begins with the first step. Training isn’t hard. The hard part is deciding to do it. Once you’ve laced up your tennis shoes and stepped outside all you have to do is take the first step. Whether it’s the scorching heat, the brisk cold air, hail, rain or shine get out there and give it a try – even if you don’t feel like it. You may surprise yourself and find that you enjoy it. Hate running outside? No problem! That’s what treadmills are for. No excuses if you want it, right? Do you have a goal to finish a full or 1/2 marathon? You can do it! Find how to complete one with these 3 simple steps! 1.) Consistency, consistency, consistency is key. Get out there and do it! Any effort is one step towards achieving your fitness goals – even a 1K run. Don’t give up. Keep on training. You don’t have to train every day. 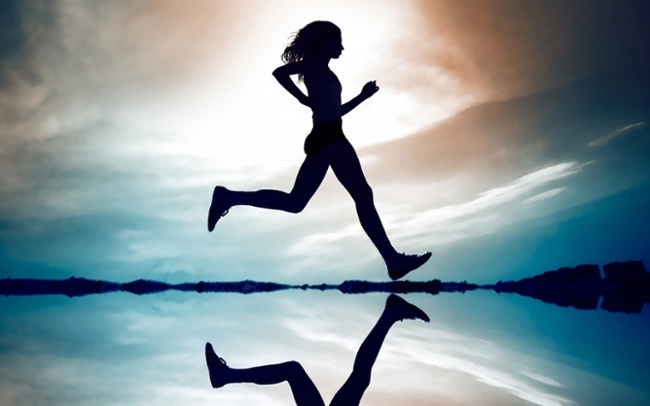 A consistent effort of 1-3 times per week is a great start as you slowly build your mileage. Check out these free training plans! Here. I don’t live in the gym and neither should you – unless you want to. Most people don’t run a marathon without training. Nor do you get results instantly. I slowly built up my mileage over a period of time. You can gradually chip away at any goal you choose with consistent effort. A sculpture is slowly crafted by the gradual chipping away of a stone. Every effort you make is a win because you are working towards your personal goal. Giving up isn’t an option if you truly want it. You will get there. 2.) Eat to compete. You don’t need to be a health nut. Nourish yourself with healthy, satisfying and delicious food. Some great runner’s power foods are hard-boiled eggs, whole grain bread, pasta, brown rice, quinoa, chicken breast, almonds, lentils, fruits and vegetables… I could go on. The list is long. Running a race isn’t license to binge eat and unfortunately fatty foods are not a runner’s friend. I remember eating a double portion of fettucine alfredo the night before my first 1/2 marathon and being sick the next day. Simple carbs are best as they are the body’s preferred source of fuel. Check out my pre-race smoothie recipe Here. That being said there’s no harm in enjoying treats too! Food should be enjoyed. My favorites on a very long list of guilty pleasures include chocolate, potato chips and the occasional glass of red. Find out more about the health benefits of wine Here! I also recommend eating jelly beans throughout the race to keep your glucose levels up. 3.) Stretch it out. In my opinion a running program isn’t complete without a stretching regime. Pair up yoga with running to ensure your muscles get a good stretch and toxins, such as lactic acid are released. Yoga, Pilates or any stretching regime of your choice is really helpful in preventing injuries and getting rid of muscle tightness. I like to do yoga at least once per week. If you don’t have time its easy to find a quick 10-15 min yoga session on YouTube. Make time for yourself. Now that you are armed with some tips for completing your first race go out there and do it! Frequently I wonder why I’m crazy enough to do a race, especially when I have to get out of bed in cold pitch darkness but there’s something enticing about crossing that finish line. I feel like I can accomplish anything. What a great way to start the day! Our nomadic ancestors walked on average 40K per day! I think I can do a 20K every now and then and so can you! Go out there a rock it!